We all love paneer tikka.Falhari tikka is inspired from this dish. It is a gluten-free version of tikka and also toddler friendly. Here,we use ingredients allowed during Hindu fasting period. Hindu fasting period especially Navratri we eat only gluten-free flours.Also,we eat only root veggies along with dairy products and fruits. We prepare a simple tikka paste and grill it.We have used sago(sabudana)powder to get some crispiness instead of chickpea paste or besan as in original recipe.The potatoes have been semi cooked separately.We have then lined them in a skewer and cooked further with paneer and pineapple pieces. Mix all ingredients in a mixer. 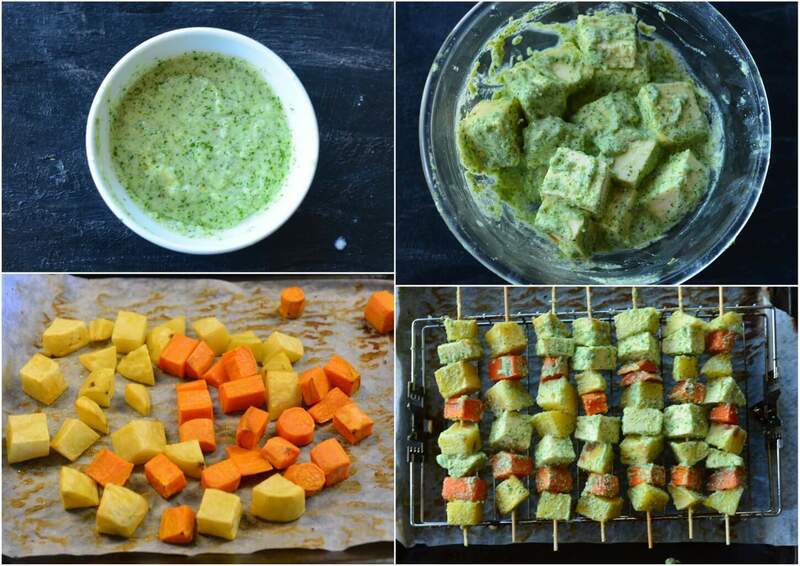 Marinate the paneer cubes with the tikka paste, keep is aside. Toss the potatoes with 1 tbsp oil and bake in a an over at 180 degree C for 10 mins. Toss the sweet potatoes with 1 tbsp oil and bake in a an over at 180 degree C for 10 mins. 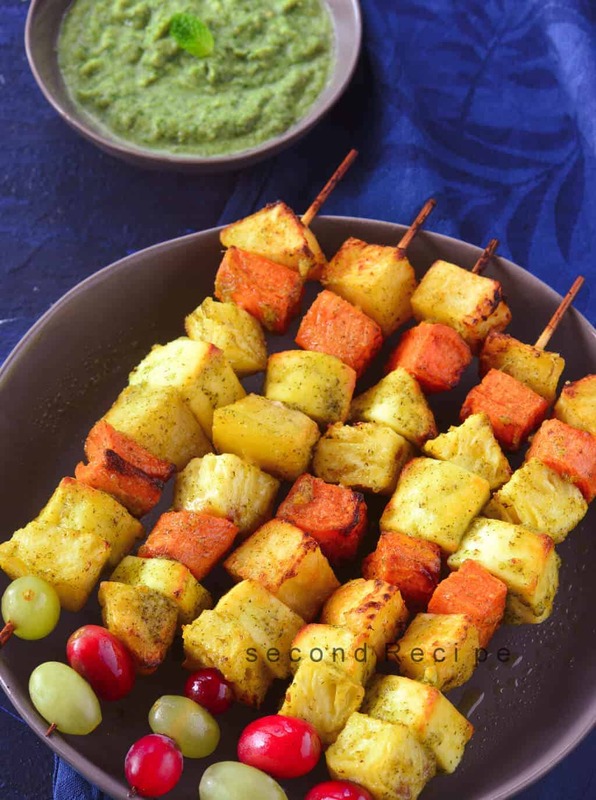 Line up the paneer,pineapple and semi cooked potatoes in a wooden skewer. Brush the skewers with the tikka paste. Arrange it in a tray and cook for 15-20 minutes /until cooked at 180 degree C.
Serve with a mint chutney. Click here to see more more recipe videos from our channel “Secondrecipe”. Also, click here to see more vrat recipes.